Introduction: Kistler Custom Rods has been busy over the last few years revamping their lineup and doing what they can to bring all their rod building back home to their factory in Magnolia, Texas. From the Z-Bone line to Helium 3 and KLX, the manufacturer now offers a wide range of sticks with Made in the USA pedigrees. One of their more popular series in recent years has been Magnesium. Of course, this series was originally built overseas, well no longer. Introducing our first look at Kistler's Magnesium 2 series with the MG2LMH70-MF, a Search for One, made in the USA candidate for only $189.99. Introducing Kistler's redesigned Magnesium 2. Quality/Construction: Kistler's MG2LMH70-MF is a seven foot (7'-0") stick built on a blank rolled in Woodland, Washington by North Fork Composites. 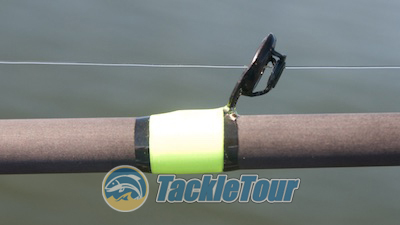 The rod's split rear grip is made of a new-ish material in the fishing industry, a golf grip. All joint lines, epoxy edges, alignments, etc., are clean on our test model. It's one thing to tout a domestically made product, but it's another to deliver one that is worthy of the pedigree. The MG2LMH70-MF paired with an Abu Garcia Orra SX. 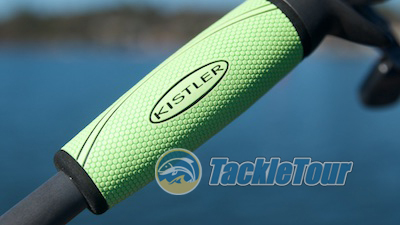 Performance: Kistler's Magnesium 2 is a relatively new revival with their big debut set for the Bassmaster Classic on March 3, 2016, so we haven't had a lot of time with this stick, but one or two trips is often enough for us when the bite is right. 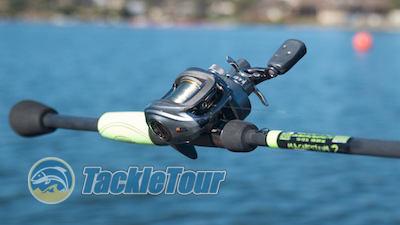 I paired the MG2LMH70-MF with an Abu Garcia Orra SX and took to the water for some tests. This stick comes with a lure rating of 1/8 - 3/.4oz. 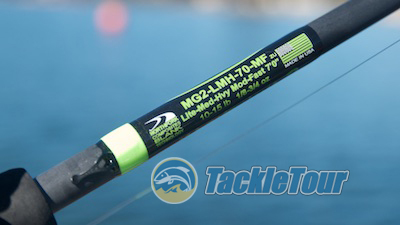 Casting: The MG2LMH70-MF is rated from one eighth of an ounce up to three quarters of an ounce in lure weight. I wasn't able to get quite that low in lure weight with the reel I was using to test the rod, but this stick does feel more capable than your typical "medium-heavy". Perhaps that's why Kistler gave it the designation of "lite-medium-heavy" instead. 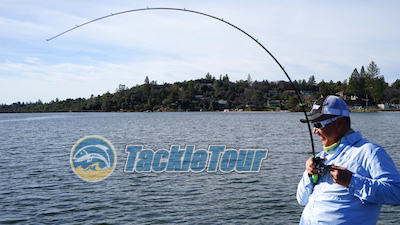 The rod's tip does load nicely and seems to release energy efficiently during each cast. 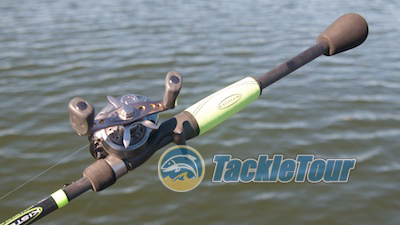 Magnesium 2 series sticks feature the Wavecast guides by American Tackle. 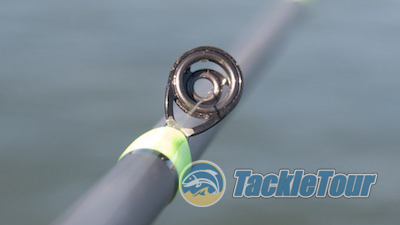 Of course, the big question in most angler's minds with regards to casting will be surrounding the MG2's guide system. This was my first time using American Tackle's Wavecast system on a casting rod. I'm currently testing a couple of different manufacturer's rods with this system on their spinning rods and definitely notice a benefit, but I'm not sold on this system in casting rod applications. I didn't get the same effect in this situation. The stripper guide is shaped like a funnel to straighten out your line as it goes through the remaining guides. Sensitivity: It seems any blank we've fished coming out of that little factory in Woodland, Washington with the initials NFC - no matter the stated or unstated modulus of graphite used - delivers crisp, sensitive performance on the built rod. Given its price point, the MG2 can't be of very high modulus graphite, and of course, Kistler is mum about the origins, but for a $189.99 rod, the MG2LMH70-MF has surprisingly good sensitivity. This stick has a moderate-fast taper for more general purpose use. Power: When I first saw "Lite-Med-Heavy" stamped on the side of this rod, all I could do was shake my head thinking Trey Kistler is up to something here trying to confuse people with this rod's power by coming up with a creative way to say "Medium". The best way we know how to cut through the labeling code is to strap the rod up to the RoD Wrack and see what we can uncover by comparing the rod's deflection characteristics to some historical data. 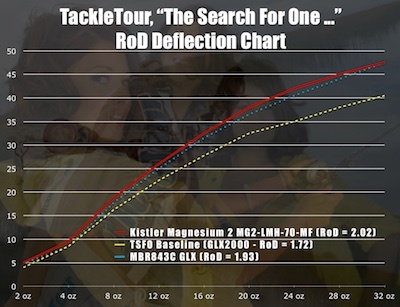 Fig 1 : The chart above illustrates the deflection characteristics of our Kistler MG2-LMH-70-MF against our 2010 The Search for One baseline rods. What we came to find is the MG2LMH70-MF behaved a lot like our 2010 The Search for One baseline stick, G.Loomis's MBR843C-GLX - our prototypical 7'0" "Medium Heavy" powered casting rod. Through the middle range, the MG2LMH70-MF (red curve) is a little softer than the MBR843C-GLX, so is that enough for the added "lite" designation? We'll let you decide. Out on the water this stick behaved just fine on the hookset and when battling the fish. Kistler joins the golf grip movement.